10374 Beaver Meadow Road, Remsen, NY.| MLS# S1168904 | Benn Realty LLC -Since 1968, and now with offices in Old Forge and Remsen to serve you better. Pictures may be worth a thousand words, but words can not begin to describe this wonderful custom built log home. 4 bedrooms, 1.5 bath, one owner home was built with love and meticulously maintained. 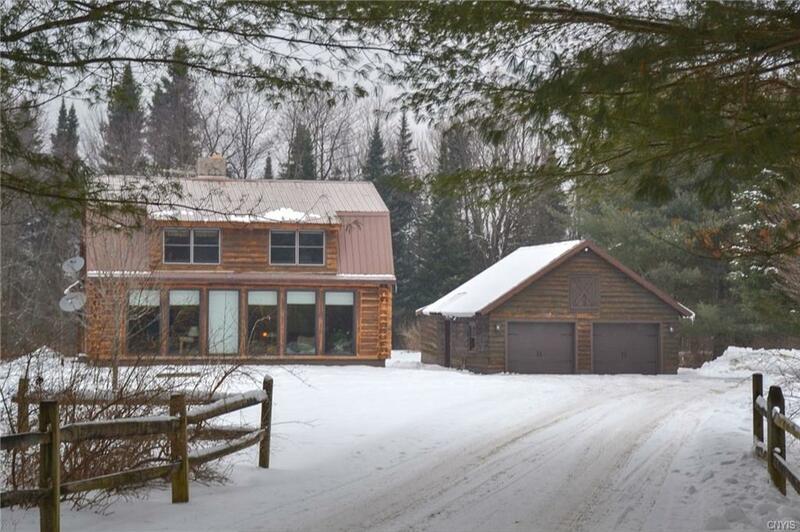 Private and perfectly situated on 4.5 acres of peaceful wilderness. Spend winter days cozy in front of the stone fireplace in the living room and enjoy the amazing views provided by Mother Nature. There is a wood stove in the kitchen and a Geothermal HVAC heating system has been installed. Detached over sized 2 stall garage with loft and separate building houses the in-door heated swimming pool for year round use.